Some of us realize our purpose early in life, some late in life and some by accident. For Joshua, that realization came as a result of a near death experience. 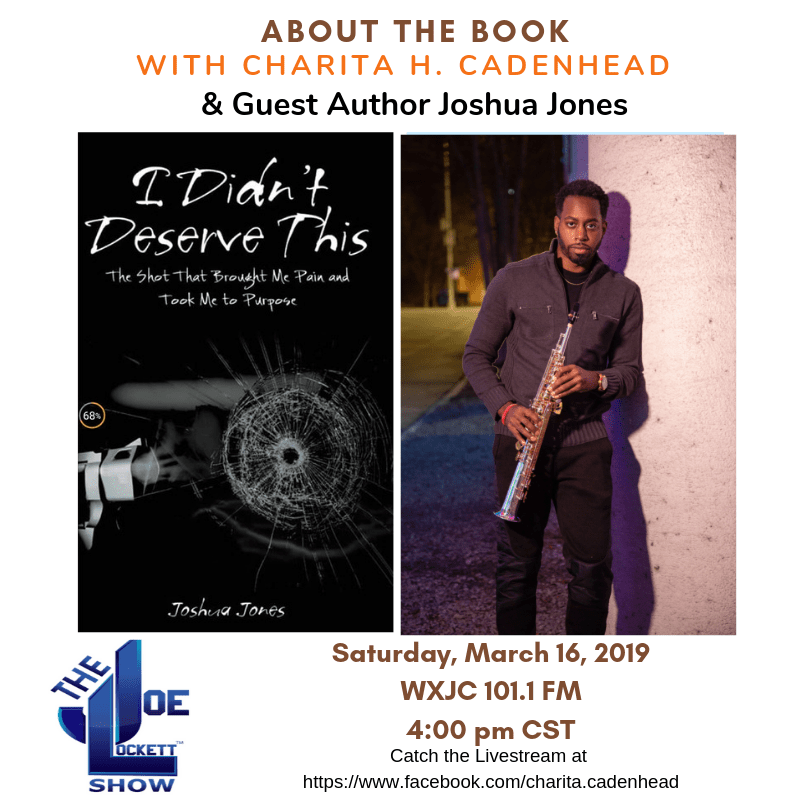 During my interview with Joshua, he talked about his book “I Didn’t Deserve This” and how he took a bullet that almost took his life. But if not for the will of God, he would not be with us today. Find out how a quiet kid from Fairfield (AL), who never bothered anyone, ended up on the ground riddled with bullets. The book is a true story about the power of God, and finding one’s passion and purpose through tragedy. Let us all pray that we never face such a life threatening episode before we find our purpose and execute it by way of God’s roadmap. Get your autographed copy of the book on Joshua’s website. The book is available on Amazon but, if possible, please buy the book via his website as all proceeds go towards a scholarship to a deserving Fairfield High Preparatory School student.